A leader is perfect in all the technical aspects of the project or organization. He leads from the front (cliché). He understands the needs of the team and works in resolving their issues. He negotiates well with the customers and other external entities. He is good at crisis management. His decisions are always balanced and lead to satisfaction of all the stakeholders. Listing down their answers made me wonder if there is any link to all these attributes of a leader. Technically sound, yes every leader should be perfectly aware of the basics of the work at hand but that doesn’t make him extra-ordinary; how often have we had sports superstars falter once they are given reins of a team? There should be something more to them…. 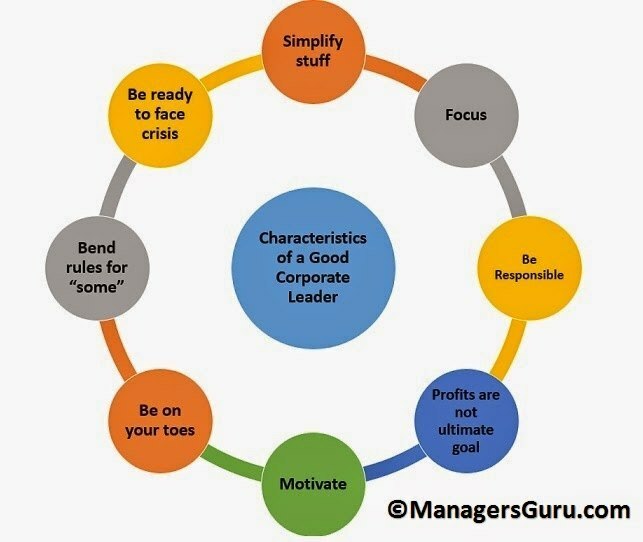 As I discussed in earlier in 8 characteristics of corporate leader, leaders are not good at just a particular skill; they are true all-rounders. When you interview them and ask them about what they feel led to their success, generally they won’t throw jargons at you. Instead, they will tell you specific events from their life, which define them. Most of the leaders don’t really understand what makes them great, because they keep on acquiring new qualities over time which lends method to madness. Except one or two of the answers given to by my colleagues and friends regarding leadership, rest of them has a common thread: Leader’s behavior towards others. 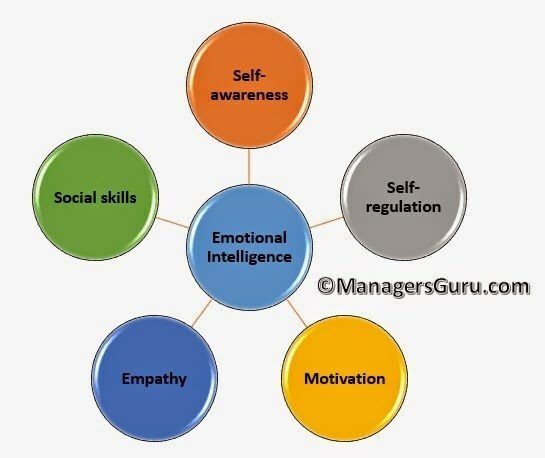 In management circles it is called Emotional Intelligence. Emotional Intelligence became a catchphrase for Business coaches and Guru after Daniel Goleman, an American psychologist popularized it. People have started to believe and agree that it is the biggest attribute of a successful leader. Now we will discuss these attributes in detail and will try to understand how you can improve yourself as a leader by increasing your Emotional Intelligence. Leadership is an art which can be acquired by anyone who is willing to. Increasing your Emotional Intelligence can go a long way in achieving your dream of being a great leader. Understanding yourself goes a long way in achieving any dream of yours. Being self-aware means you know what makes you tick, what ruins your mood and how your behavior affects people around you. A self-aware leader knows his strengths and weaknesses and then acts in a fashion wherein everyone respects him. He projects a humble yet authoritative personality. How to increase your self-awareness? 1) Keep a list of things which makes you give a volatile reaction. 2) List down incidents wherein you were appreciated for your conduct and evaluate what you did well. 3) Ask your friends and family for their frank opinion of your personality. Learn to accept your shortcomings and be open to constructive criticism. Leaders don’t verbally or physically abuse anyone; they can just put their point across by their silence too. It’s not the loudness of your voice or the strength of your arms which determines your leadership ability; it’s the way you use your brain and control it which makes the difference. Similarly leaders don’t cheat their way up, they built their way up with integrity and principles. How to increase your self-regulation quotient? 1) In case you are short-tempered, it is advisable to distract yourself whenever you get angry so that you are able to evaluate the situation better and able to give a positive reaction. 2) Never compromise on your basic moral values and avoid taking short-cuts. Being the leader, you will be a role model for many, don’t let anything stain your image. 3) Take responsibility of your actions and avoid the urge to blaming others for failures. This will not only build a good atmosphere in the team but will earn you brownie points from your subordinates. As a leader, you need to motivate yourself constantly. This nature of yours will then trickle down to your teammates. How to increase your self-motivation? 1) Take time off and evaluate what you are doing, why you are doing. Probably at this point in your career you might have forgotten what drives you, what makes you love your job? Take some time and enlist what made you choose what you are doing. 2) Set realistic goals and strive to achieve them. Once you have evaluated why you love your job it’s time to set some realistic goals that you wish to achieve. It’s time for executing your plans. 3) Don’t lose hope… ever: Today you might not be where you wanted to be, but that doesn’t mean all is lost. As a leader you need to learn to be cautiously optimistic and give out positive vibes to your team, which will motivate them to fight the way out of problems. Ability to put oneself in other’s shoes and understand his mindset is the hallmark of a great leader. This nature of a leader helps build team spirit and a healthy atmosphere, wherein everyone supports each other. Being emphatic wins you loyalty and respect of your teammates. How to increase your empathy? 1) Understand other’s psychology. Not everyone has the same background or thought process as yours; you need to understand these differences and try to guess what’s going on in their mind. Learning more about team members will help you pre-empt their reactions. 2) Look out for clues. 95% of our conversation is done non-verbally; look out for body language of others to learn how they are feeling about the conversation. Read the body language and tweak your conversation accordingly. 3) Accept that your subordinates are not your servants. Don’t treat your juniors as slaves, treat them well. Appreciate the hard work done by them. Emotional Intelligence of a leader is often judged by his social skills. Usually good communicators tend to be good leaders. It’s doesn't mean you need to be flamboyant, it means that you should be able to convey your thoughts to your team and let them know what exactly is expected from them. How to improve the social skills part of Emotional Intelligence? 1) Interact with your team on a regular basis. Listen to their issues and try to resolve them as soon as possible. 2) Enjoy the good moments with team and stand by them during tough times. Address them on a regular basis. Let them know you are always around if they want to discuss anything with you. 3) Give useful feed-backs to the team members individually and as a team. Bottom Line: Emotional Intelligence is not rocket science to understand or pick-up, you just need to take some efforts to gain it. Leaders around the world score high on emotional intelligence and are able to inspire their teams to deliver great results. It’s never too late to learn these skills… Start from today. Recently I asked my company’s chairman, who is due to retire soon, “What are the characteristics a good business leader should possess?” And in reply he smiled and made me sit down. He started his journey from a young rash entrepreneur to a successful and respected head of a multi-million dollar organization. Today I would share few insights from my conversation with him. Incorporating these characteristics can make anyone a good leader. 1) Simplify Life and Problem: Often we wonder how some people get accurate solutions of various complex issues in no time. We wonder if they have some magic wand hidden from us, but the fact is there is no magic wand. Good business leaders have a different approach towards problems which lesser mortals find baffling to contemplate. They don’t feel any thing is too complex to solve, they simply the issue and evaluate it bit by bit. This way they are able to identify the root cause and get to the bottom of it. Good leaders usually have a simple lifestyle and you won’t find any unnecessary clutter in their rooms. 2) Focus your resources and energy: A good leader doesn't do hard work or a lot of work; in fact he does just enough work to achieve what he wants to. Steve Jobs once said, “Deciding what not to do is as important as deciding what to do”. Often we keep on wasting our energy and resources on tasks which don’t fit in the big picture, learning to prioritize your tasks goes a long way to becoming a better leader. 3) Take responsibility and remain involved: You would never find a leader blaming others for his failures. A leader is the one who takes full responsibility for his from end to end and thus is praised and criticized for the performance of his team. Remaining involved in every department of an organization gives a leader a foresight of what to expect from them and how to correct the nitty-gritty before it’s too late. Always remain life gives roses to those who take the risk to hold thorns. 4) Profits are not the ultimate goal: This is the biggest mistake an entrepreneur or a business leader makes when he equates his success with profits alone. I agree profit is the sole purpose for which a business is setup but there is a difference in short term profit and long term sustainable profits. Apple can make its product out of low grade plastic and still they will sell like hot cakes, they will earn a very high percentage of profit too in this deal. But a small compromise now will ruin its brand in long run and you may find it competing it with low quality Chinese brands 10 years down the line. Focusing on process and quality may lead to lesser profits in short term but you will be able to enjoy fruits of labor over long period of time. 5) When going gets tough, the tough get going: A test of truly great business leader is when the tide is going against him. To err is human and every leader makes some bad decisions in his life which lead to tough situations. But it’s how a leader handles himself and his organization during such tough situations which defines his real character. Accepting your mistake and taking corrective actions as soon as possible is a mantra of success during such times. 6) Motivate and push people to achieve what might look impossible: As humans, we are the race of organisms that resists change more than anything. No one wants to do anything out of their comfort zone until he/she is pushed to do it. A good leader acts like a stimulus who motivates people around him to give their best. He makes people realize their latent talent, their true potential. A great leader may make life hell for his subordinates but he will also be the one who will lead them to heaven. Setting tough, yet not impossible goals, for yourself and your team is one way to push them. 7) Bend rules for your A-team only: People management is an art which a leader tends to learn as soon as responsibilities come to his shoulder. An organization consists of all sorts of unique personalities, whom you have to deal with. Demands of every individual also can range from genuine to outright absurd. As a leader you need to identify who matter and who don’t matter in the large scheme of things and how much of leeway can be given to everyone. Having hard and fast rules for everyone is a recipe of doom especially is you have a team of mavericks. Bending rules for some key individuals is needed in order to keep bigger picture rosy. 8) Be on your toes always: I have met managers who are known for their laid back style of functioning. They let their team work at their own sweet pace. This attitude is detrimental for a leader. A leader needs to anticipate events and make things happen rather than flowing with flow. Being attentive can make it easy to rectify and handle unforeseeable events. Hope you find this article useful; don’t forget to follow my journey as a Manager’s guru.